What can patients in opioid treatment programs (OTPs) expect when seeking screening, v testing, and medication for hepatitis C virus (HCV) infection? Their former or current high-risk status as people who inject drugs (PWIDs) entitles many OTP patients to free screening and testing. The Affordable Care Act (ACA) covers the tests because the U.S. Preventive Services Task Force recommends them; Medicare covers them once a year; and Medicaid covers them in states that have enacted expanded Medicaid coverage. The new (March 2015) federal guidelines specify that, to the extent their resources allow, OTPs should screen and test for HCV, either directly or by referral. Moreover, “as with HIV, patients who test positive for viral hepatitis are referred for further evaluation.” Despite a recent article in The BMJ questioning the rationale for testing and treatment in the U.S., experts widely support both recommendations (see Resources below for a rebuttal article). Implementing the guidelines will take time, and each OTP’s resources limit what it can do. All OTPs in New York State are required to screen new enrollees for HCV, but gaps do occur, and “there have been instances where patients with positive screening test results haven’t been offered a diagnostic test, or linked to care. But the state regulatory authority, the Office of Alcoholism and Substance Abuse Services (OASAS), has been taking steps to improve the process,” he said. Mr. Curtis added that few OTPs in New York City provide treatment directly, but many refer patients to Albert Einstein College of Medicine, where the Montefiore Medical Center has a nationally acclaimed HCV-treatment program. Until the federal guidelines are fully implemented, some OTP patients need to find screening and testing services on their own. Insured patients can go to a laboratory in their network or to a veterans’ facility; options for the uninsured and the undocumented include free clinics and the local health department. If HCV is diagnosed, primary care physicians refer patients to another doctor for treatment—typically a hepatologist (a specialist in liver diseases) or a gastroenterologist (a specialist in diseases of the digestive system). Patients seeking diagnostic and treatment services can contact the Patient Advocate Foundation’s new HCV CareLine to get help, at no charge, in resolving issues related to insurance and health care access (see Resources for a link to contact information). Some recent articles published on the Web continue to bemoan prices of “$84,000 for a 12-week course of treatment,” or two medications costing “roughly $150,000 for a course of treatment”—but pharmacy benefit managers and some Medicaid program managers have negotiated prices about half that, within the range of previously available medications that were far less effective and had onerous side effects. New HCV medications may soon be approved, further lowering prices. As discussed in Part II, how successful patients are in obtaining medications depends on where they live, how proactive and persistent they and their providers are, and the type of insurance they have. Compared to Medicare, Medicaid typically imposes more restrictions, and is more likely to defer treatment until patients’ medical need becomes greater. In 2014 the Fair Pricing Coalition (FPC) reported that some insurance companies were placing HCV drugs in tiers associated with “exorbitant out-of-pocket (OOP) costs . . . essentially circumventing the non-discrimination backbone of [the ACA].” Specifically, the FPC cited high “specialty drug” tiers—Tier 4 or 5—involving co-insurance costs. Consumer groups filed complaints; some insurers settled. Under the ACA, insurance companies cannot refuse to supply medication for a sick patient because of cost. Mr. Remak explained that companies that do so can be fined by the state regulatory agency and ordered to give patients the medication they need. (The Center for Consumer Information and Insurance Oversight [CCIIO] works closely with state regulators to protect the interests of those ensured under the ACA.) But it takes time for physicians, patients, or families to file a complaint and pursue the process—so an unethical insurance agent may take a chance and continue business as usual, assuming nothing will happen. Now legislators are stepping in. A Specialty Tier Reform Update issued the week of February 16, 2015 summarized bills introduced in four states—California, Florida, Illinois, and Maryland—that would, for example, limit the use of specialty tiers, require reasonable cost-sharing for medications, or cover any medically necessary medication that has no therapeutic equivalent. Several patient advocacy groups and pharmaceutical companies sponsor patient assistance and co-pay programs for HCV medications (see Resources). Some patients who are unable to obtain medications, or fail to clear the virus during treatment, need help paying for a liver transplant, here or abroad, or for interim medical care. Support programs can help. AT Forum asked Mr. Remak how well the support programs are working. “I’m not seeing a flood of people being denied help, but I am seeing some frustration with the process itself,” he said. “Doctors complain about the administrative work involved. Patients are anxious about whether they’ll qualify or be denied, and they’re upset about the time and effort it takes to navigate the system. Another worry: the medication is dispensed in doses lasting a few weeks. When they need a refill, will there be a delay? Medically, the medications aren’t designed to be restarted if treatment is interrupted. This article ends our three-part series. We’ve followed the story of hepatitis C—from early excitement when effective, well-tolerated treatments first emerged, to apprehension about prices that seemed outrageous and unaffordable, and finally to relief, when many providers negotiated prices low enough to provide patients with HCV medications. In fact, there’s talk now in some circles about eventually eradicating HCV. Not so fast, say some experts. HCV infections are on the rise. According to the Centers for Disease Control and Prevention (CDC), new HCV infections in the U.S. increased by 150 percent from 2010 through 2013, most of them associated with injection drug use. Reported cases in people aged 30 or under more than tripled in four Appalachian states from 2006 to 2012, largely as a result of increased prescription drug misuse among PWIDs. According to an April 28 CDC webinar, the incidence of HCV infection in the U.S. is 10 times to 40 times higher than the incidence of HIV infection. HIV/HCV co-infection is a major, rapidly growing problem, especially among PWIDs. The CDC estimates that 80 percent of PWIDs with HIV are co-infected with HCV. When a recent outbreak of HIV/HCV in PWIDs in Indiana made national headlines and prompted a CDC advisory, Governor Mike Pence signed off on a temporary needle exchange program. But here’s the problem. Needle exchanges cut the rate of HIV spread among PWIDs, but what works against HIV doesn’t necessarily protect against HCV. HIV remains infective for a short time outside the body; HCV is highly infective, easily causing infection when someone contacts an object contaminated with even invisible amounts of infected blood. HCV can persist on equipment and surfaces—including tables where PWIDs prepare drugs for injection—for as long as six weeks at a room temperature of about 40oF to 72oF, according to a published source. What’s really needed isn’t a needle exchange, but “a whole new kit for every hit,” according to the CDC webinar. A complete sterile kit would include a filter, foil, syringe with needle, vial of water, prep pad, spoon or cup, tourniquet, and adhesive bandage. And that could prove a hard sell for regulators and elected officials. Sites Offering Patients Help in Obtaining HCV MedicationsThe American Liver Foundation. 2015. What if I need financial assistance to pay for treatment? A list of organizations, programs, and websites offering financial help. http://hepc.liverfoundation.org/resources/what-if-i-need-financial-assistance-to-pay-for-treatment/. Patient Advocate Foundation (PAF) Hepatitis C CareLine. 800-532-5274. http://globenewswire.com/news-release/2015/01/05/695010/10114015/en/Patient-Advocate-Foundation-Offers-New-CareLine-for-Hepatitis-C-Patients.html. www.hepmag.com. Hepatitis PAP and co-pay programs and other resources for viral hepatitis drugs. January 08, 2015. http://www.hepmag.com/articles/hepatitis_paps_copays_20506.shtml. CDC Health Alert Network. 2015. Outbreak of recent HIV and HCV infections among persons who inject drugs. April 24, 11:00 ET. http://emergency.cdc.gov/han/han00377.asp. Centers for Disease Control and Prevention. April 28, 2015. Hepatitis C prevention opportunities among people who inject drugs—Confronting the growing epidemic. [Webinar; power point slides]. https://aids.gov/news-and-events/hepatitis/. Fair Pricing Coalition. A fair pricing coalition (FPC) policy guide. February 2014. Health insurance marketplace plans and people living with HIV and/or viral hepatitis: The Affordable Care Act requires fair drug pricing and access. http://fairpricingcoalition.org/wp-content/uploads/2014/02/FPC-QHP-Policy-Guide-Feb-2014-1.pdf. Franciscus, A. February 2015. Environmental stability of HCV: How long does HCV live outside the body and what kills it? HCV Advocate. [Fact sheet]. http://www.hcvadvocate.org/hepatitis/factsheets_pdf/How_long.pdf. Hobraczk, M, JD, MPA. Specialty tier reform update—week of February 16, 2015. Patient Services Inc. [News release]. Describes bills pending in four states that would limit use of specialty tiers and prohibit discrimination in cost-sharing. http://www.hemophilia-nc.org/docs/healthcare-updates/PSI-HR-Update-2015-02-16-Specialty-Tier.pdf. Remak, W. 2015. The consequences of high out-of-pocket medication costs: Aging baby boomers with chronic conditions face tough treatment choices. Drug Topics; April 10, 2015. http://drugtopics.modernmedicine.com/drug-topics/news/consequences-high-out-pocket-medication-costs. Substance Abuse and Mental Health Services Administration. 2015. Federal Guidelines for Opioid Treatment Programs. HHS Publication No. (SMA) PEP15-FEDGUIDEOTP. Rockville, MD: Substance Abuse and Mental Health Services Administration. U.S. Department of Health and Human Services. February 2015. Hepatitis C and injection drug use. [Fact sheet]. 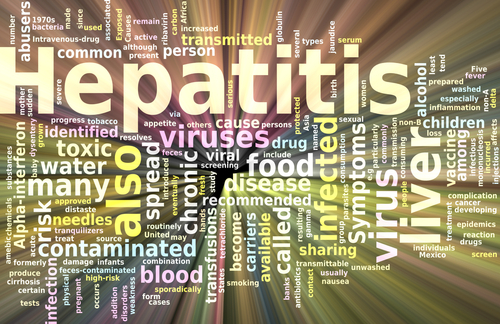 Information on how HCV is spread, and steps patients can take to avoid becoming infected. http://www.cdc.gov/hepatitis/HCV/PDFs/FactSheet-PWID.pdf. Ward JW, Mermin JH. HCV testing makes public health sense. BMJ. 2015;350:g7809. Rebuttal to the BMJ article mentioned in Part II of this series questioning the rationale for HCV virus testing and treatment. http://www.bmj.com/content/350/bmj.g7809/rr-11. For additional resources, go to http://atforum.com/addiction-resources/hepatitis-hivaids/.